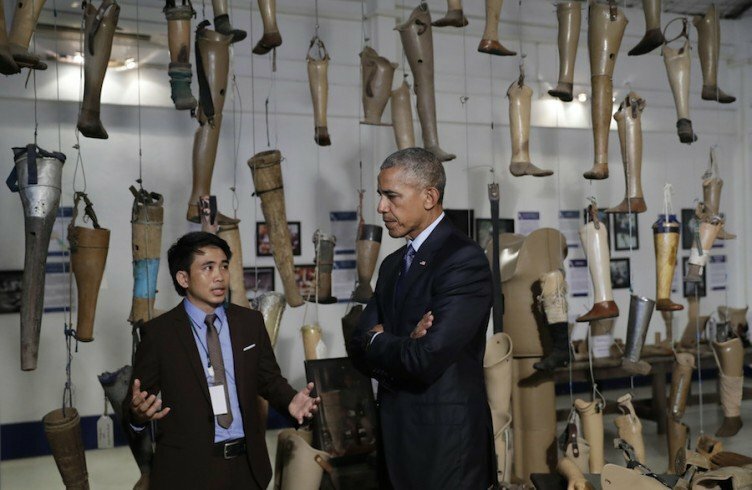 As President Obama toured an exhibition of prosthetics made for Laotians who lost limbs when bombs exploded years or even decades after the United States dropped them on Laos during the 1960s and 1970s, the U.S. announced it would provide $90 million over the next three years to help Laos clear the remaining explosives. The unexploded bombs are 30 percent of the total that the United States dropped on the country—a total Obama described as “more bombs on Laos than [on] Germany and Japan during World War II.” So far, such ordnance has killed or injured more than 20,000 people. Read a full transcript of Scheer’s remarks provided by The Real News Network below. DHARNA NOOR, TRNN: Welcome to the Real News Network. I’m Dharna Noor joining you in Baltimore. On Wednesday President Barack Obama became the first sitting president of the US to visit Laos. Obama visited a prosthetic center that works with victims of bombs that initially failed to detonate when dropped on the country during the Vietnam war. He also toured an exhibition of prosthetic limbs and met with those involved with clearing unexploded ordinance in the Laos countryside. 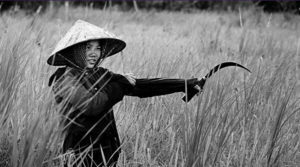 The US announced earlier this week that it would provide an additional 90 million dollars over the next 3 years to help Laos clear the remaining ordinance. BARACK OBAMA [in video clip]: But for all those years in the 1960’s and 70’s America’s intervention here in Laos was a secret to the American people who were separated by vast distances and the Pacific Ocean and there was no internet and information didn’t flow as easily. For the people of Laos obviously this war was no secret. Over the course of roughly a decade the United States dropped more bombs on Laos than Germany and Japan during World War II. Some 270 million cluster bomblets were dropped on this country. NOOR: About 30% of the bombs dropped on the then secret war on Laos, failed to explode. 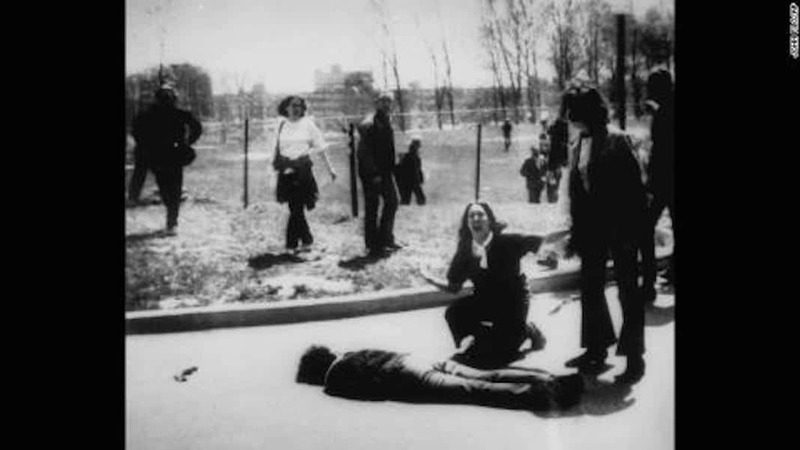 They killed or injured more than 20,000 people since the 1970’s. This comes as the United Nations wrapped up its annual meeting on an international treaty that bands the use of cluster munitions. The US has still not signed on to the agreement. Now joining us to discuss all of this is Bob Scheer. Bob is the editor in chief of Truthdig and a veteran journalist. His latest book is They Know Everything About You: How Data Collecting Corporations and Snooping Government Agencies Are Destroying Democracy. Between 1964 and 1969 he was the Vietnam correspondent, the managing editor, and the editor and chief of Ramparts Magazine where he helped expose the secret war in Laos. Thanks for joining us Bob. BOB SCHEER: Great to be here. 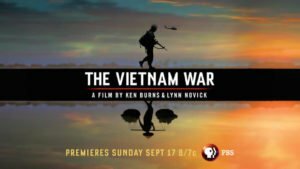 NOOR: So why was the US bombing Laos during the Vietnam War and why didn’t the American public know the US was doing so? We just heard Obama say that essentially the American population wasn’t privy to this information because Laos is far away and because we didn’t have the internet. But your exposés from Laos actually helped disseminate information about the bombing campaign. SCHEER: It’s not just Laos, it was what we were doing in Vietnam and what we were doing in Cambodia. And it was basically genocide. It was carpet bombing. It was declaring huge areas where people had to leave or would be killed with very short notice. Fire free zones and so forth. 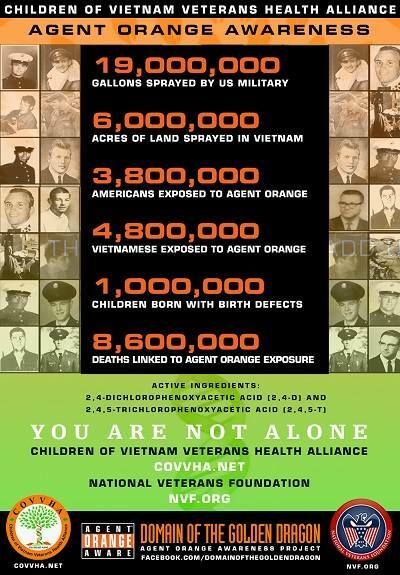 We deliberately caused disease and illness with agent orange and everything. I first went to Laos in 1964. It was a very primitive country. Very isolated. And I recall at the time going to different villages and giving kids a pencil was considered a gift. Life was agriculturally on a very primitive level and they had nothing to do with foreign policy. There was no threat to the United States and already we were meddling in their affairs as such as they were. Then I went back a year later and saw some of the effects of the bombing and then I returned later and finally back in the 80’s I went back to assess the damage there. The story was very similar to what happened in Cambodia and in Vietnam. Because the fragmentation bombs, these guava bombs, these pineapple bombs, they were quite often disguised as toys that children would play with. They were made to seem inoffensive. And when they went off they caused a lot of damage, sending all sorts of little pellets out or pieces of metal. And quite often they didn’t explode and they just sat there preventing farmers from using their fields. Vast areas of Laos are to this day you can’t [inaud.] and can’t farm there. And I remember being there both in Laos and Cambodia, particularly in Cambodia I got involved in a Canadian project where they were clearing fields. It was painstaking. It was very dangerous activity and there was no real funding from anywhere else in the world. It was one of the most brutal uncivilized, vicious attacks on a people that we’ve seen in human history and the president is lying. It’s a bold faced lie to say oh people couldn’t get the information because we didn’t have the internet. First of all there was good reporting. The late journalist Fred Branfman for instance, he lived there for years and documenting was. He risked his life. He wasn’t alone. There were plenty of journalist. When I went there were other journalist writing. They couldn’t get mainstream media to cover the story in any effective way. But the most important thing was that the US government was very effective in lying about what it was doing. They claimed it was trying to stop a Ho Chi Minh trail going down from North Vietnam to South Vietnam. I was able to expose the fallacy of that. What you really have what Obama will not admit because it continues to this day that when you’re dealing with war, when you’re dealing with foreign policy, truth is the first casualty. It’s been well documented. That’s why George Washington, the famous patriot, our most famous patriot warned about the impostures of pretended patriotism. That’s why Jefferson warned about foreign entanglements and the ability of our government to lie about what it’s doing during war time is unparalleled in any other activity. So that’s why the US government continued a barrage of lies under democrats and republicans. Went right up to the end of the war. Never took ownership, never took responsibility, no top official went there until Hillary Clinton went there in 2012 and now Obama has finally gone 60 years later. It’s just an example of committing atrocities at will. It’s both barbaric and the president still has not come to grips with this. This was a war against peasants. People who were using oxen to till their fields. Who barely knew what a pencil was and you went to war with them to destroy them, to demoralize them, and it had nothing to do with them. It had to do with China, it had to do with the Soviet Union, it had to do with some crazy ideas about the Cold War and then after Richard Nixon we made peace with China. There are our bankrollers. They supply all our commodities now. And that was the reason we’re in Laos. We were supposed to be sending a message to rid China or to the Soviet Union. It was all using these people as props in your drama. NOOR: Having witnessed all of this trauma and all of this horrific policy first hand then what’s your reaction to Obama’s speech as a whole. I mean he stopped short of actually giving an apology for the actions of the United States. SCHEER: Yeah, I don’t know. Obama’s on a charm offensive. I think CNN called him the goodwill ambassador now. He’s going everywhere in the world. Which is fine. I’m all for recognizing the humanity of the Laotian people, the Cambodian people, the Vietnamese. That’s all great stuff. But if you don’t take ownership for your own atrocities, you first of all have no authority to condemn atrocities anywhere in the world and you don’t learn the lessons of history. We are capable of enormous barbarism. You just have to look to dropping the Atomic Bomb on Hiroshima and Nagasaki in daylight to maximize the casualties among kids, children going to school. That was done by the University of California Berkley, figured out the plans and everything. 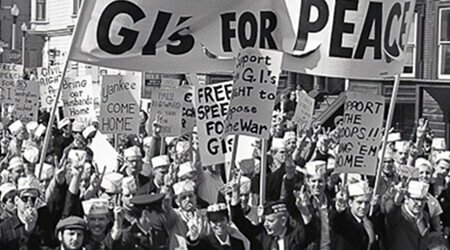 Look at the documentary Fog of War about Robert McNamara. Look at the carpet bombing of Japan during WWII. We aren’t this great city on the hill. We’re capable of being horrible barbaric killers and the lesson of Laos is we visited terrorism on a primitive peasantry that had no idea what was being inflicted on them or why. They had had a king. Now they had other people [inaud.] that were against the king and doing land reform. It had nothing to do with a threat to the United States or anything else. NOOR: So the United States is now providing 90 million dollars to help clean up bombs that continue to kill and maim people. Does this constitute any sort of level or real accountability? Do you see the lack of accountability for the bombing in Laos as having real consequences now for US foreign policy? SCHEER: You know when any Jewish person who cares or anybody who cared about the Holocaust against Jews, gypsies, and others in Germany would be deeply offended if many years after the fact the president of the richest and most powerful country in the world and if Germany had won would then would offer a pittance, chump change. Yes, it’s better than nothing. But it’s propaganda. It’s a feel good thing. It’s a way of disowning your responsibility. We say adult behavior. We tell children, adult behavior begins with taking ownership for your actions. We have never taken ownership for our horrible actions in the name of foreign policy. We never do. We think that whatever, we’re virtuous. Obama said in his statement, we can argue about our motives. No. That’s what we have to analyze. What really were your motives? How could you be destroying people so far from our country and you could keep that news from the American people? Or that when they heard about it they didn’t respond as human beings should. That’s the real lesson here. How are you able to engage in one of the great atrocities of human history and the destruction? I mean Robert McNamara, one of the people who ran this whole thing when he was secretary of defense in that movie Fog of War says, three and a half million Indochinese people died. Three and a half million because of these bombings. That’s not kidding around you know. In Laos it’s not just the danger inflicted after the fact, it’s what you did then and then you didn’t even have the good sense for 60 years to say hey we’ll help you clean up this mess. NOOR: And we could also point out that the US has still not signed onto the UN treaty banning the use of cluster bombs and up until the end of this year it was sending them over to the Saudi’s in their war against Yemen. So this continues to show its effects. SCHEER: I think that’s a really important point you just made. Because I read the same stories about what was happening in Yemen and it reminded me of my days being in Laos and Cambodia. 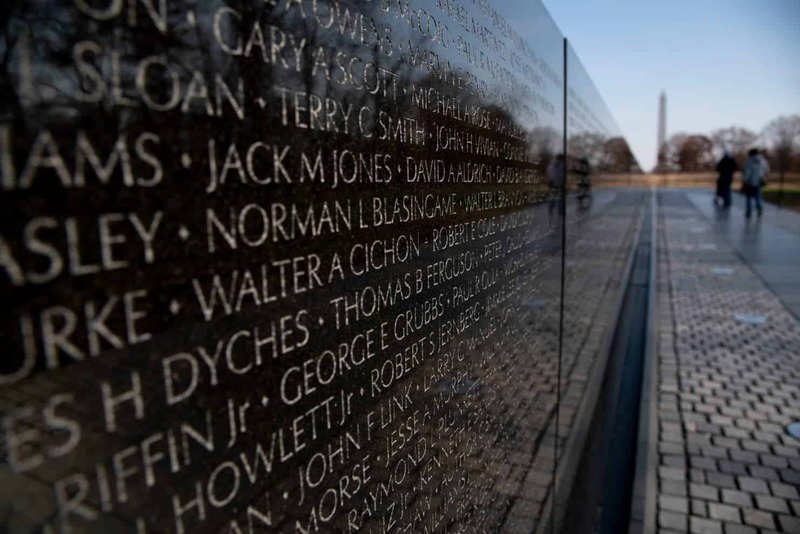 And also by the way I went to North Vietnam during one of the lulls in the bombing and was able to see the terrible damage done to the country we were supposed to be trying to save. When I looked at those weapons and read the military reports that were released on what the Saudis are using in Yemen, they’re exactly those weapons that we pioneered. The US pioneered our arms, our military industrial complex developed them. They were developed with great precision to maximize human death. That was it. That’s why they scattered in such a wide area so that the pellets would penetrate and kill people. That’s what it was aimed at. It was a weapon of terror. We use this word terror. Terror means anything. It means war on civilians. It means war on innocent people. That’s what we call terrorism. You blow up a bus, there are civilians in it, that’s an act of terrorism. That’s what we did throughout the Laotian countryside, the Vietnamese countryside, and the Cambodian countryside. We inflicted massive terror on a basically unsuspected unknowing, civilian population that barely could, in the case of Laos, had found the United States on a map if they could have found a map in their village. NOOR: Bob Scheer is the editor and chief of Truthdig. Bob thank you so much for joining us today and we hope to talk to you again soon. And thank you for joining us on the Real News Network.